The Art of Plugin Development with Ben Croker from Craft CMS on Vimeo. In this somewhat controversial talk, Ben will explore the greater field of software development and take you on a journey into reverse engineering and gradually mastering plugin development. 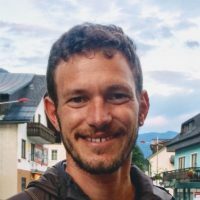 He will share his approach to user experience driven development, exposing the pitfalls and highlighting the techniques for building plugins that are robust, maintainable and a joy to use. Prepare to peek into the mind of a seasoned developer and go on an adventure into the deep recesses of the Craft codebase and its plugin architecture.